One group of Protestants still respect the Old Testament who are called "Evangelicals." 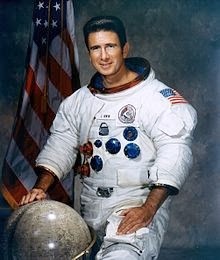 James B. Irwin, astronaut on Apollo 10, was active in believing the writings in the Bible, especially after his experience on the moon. He led an expedition to search for Noah's Ark. I don't think his not finding it deterred him as he later "founded an evangelical religious organization." His knowledge of science did not deter his validating the writings of the Torah. What religion should do for a person is to give them that moral fiber to be moralistic. That includes all the good that people should be and how they treat each other. One look at this world of ours, and we can see we are failing. People are as crude and rude as they were back in the Neolithic days, ready to kill off most of the planet's population much quicker than the cave men could. Those that are most ready to do so do not think much of the 10 Commandments, so basic to civilization. Christopher Columbus in 1492 could have been Jewish. Jews in 1492 were hiding the fact to keep from being converted or killed and were called Marranos. He could have been one, for that matter, though he is listed as a Catholic He spoke Spanish better than Italian. He wrote to his son in Hebrew.This was at a time where Spain was telling Jews that they had to convert or leave the country. The New Testament had replaced the Jews' history found in the Old. The mapmakers he met with when in Genoa were Jews, as Jews had been merchants way before 70 CE and traveled a lot on the seas from Israel and Judah and probably did a lot of charting. He must have found credible facts to undertake such a voyage, for Columbus sailed the ocean blue in 14 hundred and 92. If he trusted their map making, it also could be that he trusted their history, found in the Christian "Old Testament." Being he was to become a very famous person, I have included him for representing a time when Jews were suffering the worst and had been forced to leave Spain, then Portugal and finally find other countries to live in such as Syria. The United States of America was settled by religious people in 1620 who came to Plymouth Rock, the land later to become the state of Massachusetts. They believed in G-d, and had a relationship with the Old Testament, which they read. They even studied a little Hebrew. They had broken off from Catholicism long before in England to become Protestants, and these Pilgrims were a branch of that group who felt they still had no religious freedom of choice, so off they went from Holland, which they had tried to settle in, to the unknown land of America in a little sailing ship called "The Mayflower." They weren't the first to arrive in North America. English people had sailed to Jamestown much further south and established it with a colony on May 14, 1607 "The colony gave England its first foothold in the European competition for the New World, which had been dominated by the Spanish since the voyages of Christopher Columbus in the late 15th century ".It later became Jamestown, Virginia. Being that the south was not settled by religious people of that day, they saw nothing wrong about having slaves and defied the request from the President and the North to free them, which England had already done in 1833. Therefore, the refusal to do so started the American Civil War in 1861 and didn't end till 1865. Since then, religion did make its way into the South. Religion is losing out in the USA. Less and less people have any respect for the Old Testament, the part that tells the history of the Jewish people. They think it is just an Old Wives' Tale, legends, having nothing to do with today's scientific facts. Bring up borders, boundaries, land, and few heed the information IF it comes from the Bible. "Oh, I don't believe that stuff. It's not true." Little do people realize that this written history is actually recorded history of the Jews, telling of battles and who with and what happened. It even includes geography and genealogy. Hebrew texts, material written in Hebrew, date back to the 2nd millennium BCE, when Abraham was living. Why are Hebrew writings so easy to ignore? This is history recorded in writing. At the same time there was writing going on in Egypt, Babylonia and China. Moses (1391-1271 BCE) most likely was schooled in hieroglyphics. In 1391 BCE Amenkotep III was the pharoah. People pay attention to material from those sources. Why is the Torah not paid respect as a source of history by people other than the Jews? The Culture, the foods, the animals and plants, all are recorded there. It's a wealth of information. The Babylonian Empire, which existed at the same time, wrote in the Akkadian language. That's where Hammurabi came from. People were writing Akkadian, a cunieform style of writing in 2,500 BCE. Sumerians invented it in the 4th millennium BCE. Jewish people do not use the King James edition of the Old Testament, however. Translation errors have been made from Hebrew to Greek to English. Our word for bible is Tanach, so we use The Stone Edition Tanach from the ArtScroll Series which is considered to be the most accurate. There are people who think that the Torah has changed over the years, and they do not understand the original and continuing care that has been taken to make sure that not one word was changed. Even pieces found in the Dead Sea Scrolls are proving that they haven't changed since the 1st century for the past 2,000 years. One can visit the Dead Sea Museum online or in person which is in Jerusalem and view the original findings. Evidently people like to be told things, like in a preached speech, and personal detective work is awkward for them to do a study on their own. If they're not told this is it, they don't trust the information that this is not just folk lore. .
DNA, another science from geneticists, is giving us a clear cut road map of people, calling this new science population genetics. Someday, the two must get together and see if they can mesh their findings with what we have known since Moses and his people who existed for over 3,000 years. One thing about our writings. They never have been known to put themselves in a better light by leaving out the bad parts. Egypt was known to do that by covering over hieroglyphics that the next ruler didn't approve of. They only wrote about their successes. We wrote about our sins, that of David, especially, and the women in his life. We learn from from, or try to. Francis S. Collins, PhD is one of the world's leading scientists who studies genetics. He was the head of the Human Genome Project. He's also a man of unshakable faith in G-d and scripture and believes that faith in G-d and faith in science can coexist within a person and be harmonious. He wrote the book, "The Language of God," which of course is our DNA. In fact, discovering our DNA has made him more religious. One of the more interesting chapters in his book is "Genesis, Galileo, and Darwin. Darwin is most interesting to me because the Nazis took his theories and used them to prove they had the right to exterminate all the Jews in the world, of course which was not what Darwin had intended. The book, followed up with its own movie, "Roots," by Alex Haley, set me on fire as far as dabbling into my own genealogy. He tells of the African custom of reciting their oral history before their family group. He was able to trace his family line to one tribe in Africa through oral history. Jews in Israel depend on the Torah for their strength. I've known of soldiers who used its geography descriptions of the terrain to get themselves out of harm's way when confronting the enemy. It worked! They found paths, ancient, but still usable for them. The description of Eretz Yisrael giving the boundaries and the description of it is found in the Tanakh. King David (1010-970 BCE) is said to be the author of Psalms. I found #62 that is most prophetic. He speaks for all Jews of today. The first stanza goes like this: and is addressed to the wicked, murderous schemers. One must never allow the power and ill-gotten wealth of the oppressor to erode one's trust in G-d and faith in His justice. I shall not falter greatly. To falter-means to stumble, to hesitate. You'd think someone wrote that today, knowing how many have tried to convert us since the many Crusades and the Spanish Inquisition and people ringing our door bells. For us, G-d remains that unseen force that created everything. Could it still be that anti-Semitism, because Jews have not converted to others' religions, is the cause of not wanting to believe anything written by Jews? It most likely goes like this: since Jews are wrong about G-d, their book has to be all wrong, too. They ignore that their Savior was a practicing Jew. Therefore, when we give testimony of our former history in Eretz Yisrael, people can hoot and holler all they want. They just show me that they have read but very little history. The archaeologist just beginning in their professions seem to be one of the worst in reading about our history, thinking they can know all the history from the few remains they find after 3,000 years. Of course the findings are fantastic and validate our history, but somehow there are those who still hold out that our Torah is just stories for children. "Oh no", they say, "It can't be." I'd say they are in denial, like an alcoholic. They want to ignore the findings that do prove our existence and story. For instance, an ancient 4th century CE Samson Mosaic was found in a synagogue in Israel in September 2013. A stone altar was discovered in November 2013 dating back to the Israelite kings at Shiloh from 1010 BCE. "Three complete cooking pots and a small ceramic oil lamp were uncovered in June 2013 inside a small cistern in a drainage channel that runs from the Shiloah Pool in the City of David to Robinson’s Arch near the Western Wall in Jerusalem's Old City that were at least 2,000 years old. A 2nd Temple period ritual bath was located in April 2013 in the Qiryat Menachem quarter of Jerusalem, a rare ritual bath - known as a mikvah in Hebrew." So, young archaeologist, pay attention to what has been going on in the archaeology areas in Israel before you say nothing is found to prove our existence there or our facts thereof. https://www.facebook.com/cityofdavid.en This is about the excavations going on in Jerusalem, City of David. I should have included Simcha Jacobovici, http://www.simchajtv.com/ who does follow the Torah for his archaeological work. His latest program about Joseph is most interesting, and he uses dates that coincide with the Torah. Could Iraqis Have Jewish Roots?